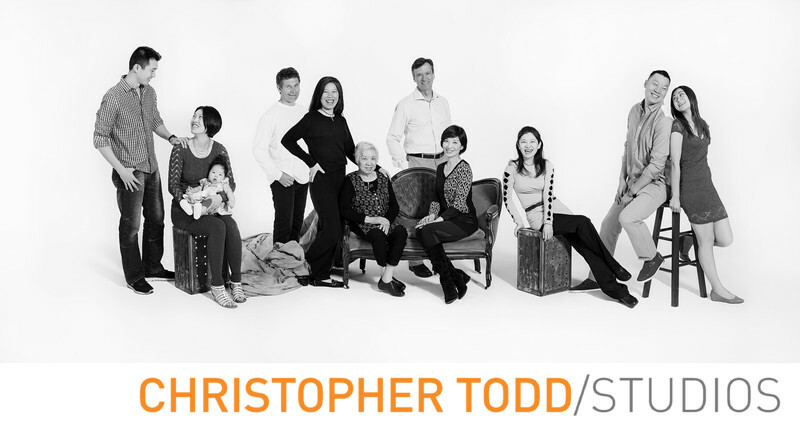 As a Santa Ana Family photographer we love when families come into our studio for their session. This photo was taken with a simple background to make the family pop. Having fun and laughing helps create beautiful portraits. Want to see more family photos? See our portfolio. When you hire a Santa Ana photographer you know you will be in good hands. We know all the best locations in this city and all over Orange County. 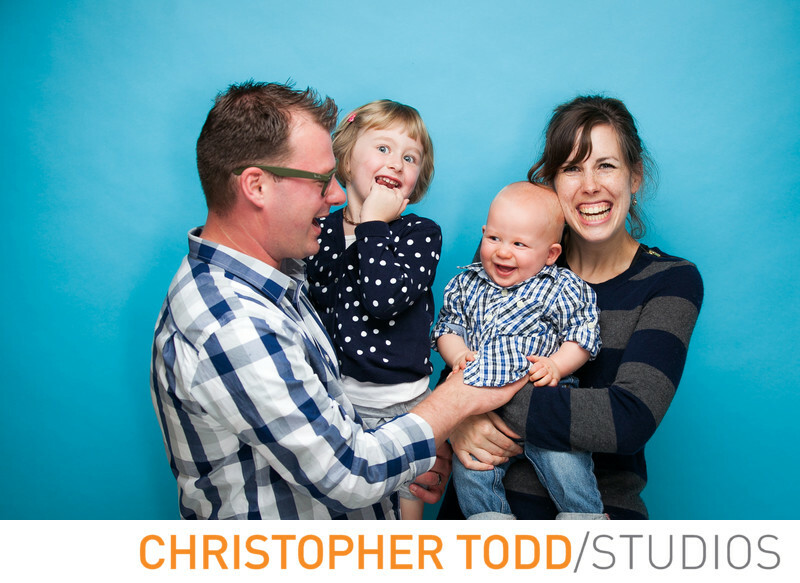 The right photographer will help you plan your session from start to finish. That means help you choose the right location for your portraits, offer you a style guide, help you pose and guide you in front of the camera, and lastly help you choose the best photos from the session. We do all this and more. We would love to be your family photographer, whether you are looking for a location in Orange County or studio portraits. Let's start planning today. 1/80; f/3.5; ISO 200; 70.0 mm.